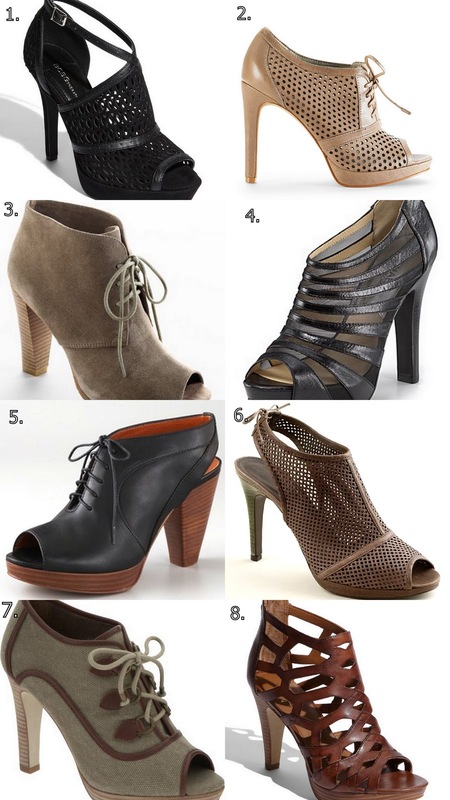 I love seeing so many great choices for open-toe booties and sandals especially since they are perfect to wear now and to transition into the spring and summer months. I recently got the Madewell oxford slingbacks (seen here) and have been wearing them with jeans, dresses, and short skirts. But I must say these other open-toe booties have caught my eye as well.